Oliver Schwebel is CEO of Frankfurt Economic Development GmbH. 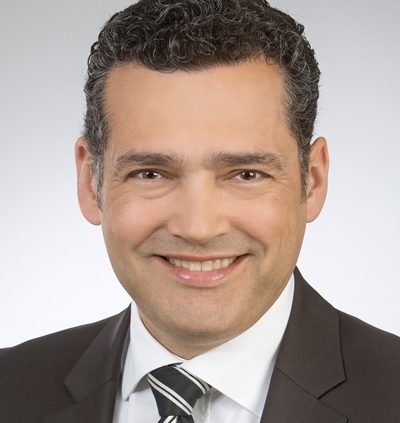 He was born 1969 in Kronberg/Taunus, is banker by education and has his background in leading areas of the financial industry, such as BfG Bank AG, LBBW, DZ Bank, SIX Financial Information, as well as within the political environment. Furthermore, due to his continuous involvement in the political environment over many years, Mr Schwebel was able to acquire a broad expertise in day-to-day politics in the Rhine-Main-Area. Oliver Schwebel has been working for Frankfurt Economic Development GmbH since 2010 and became the Managing Director on May 1, 2015. At the same time, he was assigned as the Managing director of the FRM GmbH. In this role, he led the regional trade fair presentation and the future project FRM 2030 and resigned from his office in May 2018, after a successful completion of his projects. The main goal of Frankfurt Economic Development is to promote economic growth and employment opportunities in Frankfurt am Main. The company is the first point of contact providing a broad range of services from supporting businesses in their startup phase to continuous support of existing companies in daily operations. As the CEO, Mr Schwebel oversees all departments and its activities, such as trade consulting, object placement, vacancy management, real estate brokerage, international business communities, defined target sectors of finance, logistics & mobility, IT & telecommunications, life science, biotech, and the creative industries.